He (ﷺ) observed Saum during the whole month of Sha'ban except a few days. 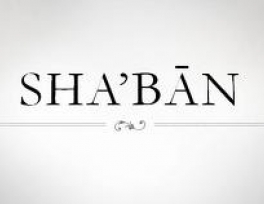 The Prophet (ﷺ) never fasted in any month more than in the month of Sha'ban. He used to say, "Do those deeds which you can do easily, as Allah will not get tired (of giving rewards) till you get bored and tired (of performing religious deeds)." Another narration is: He (ﷺ) observed Saum during the whole month of Sha'ban except a few days. [Al- Bukhari and Muslim]. I asked 'A'isha (Allah be pleased with her) about the fasting of the Messenger of Allah (ﷺ). She said: He (ﷺ)used to observe fast (at times so continuously) that we said: He has fasted (never to break), and he did not observe fast till we said: He has given up perhaps never to fast, and I never saw him observing (voluntary fasts) more in any other month than that of Sha'ban. (lt appeared as if) he observed fast throughout the whole of Sha'ban except a few (days).